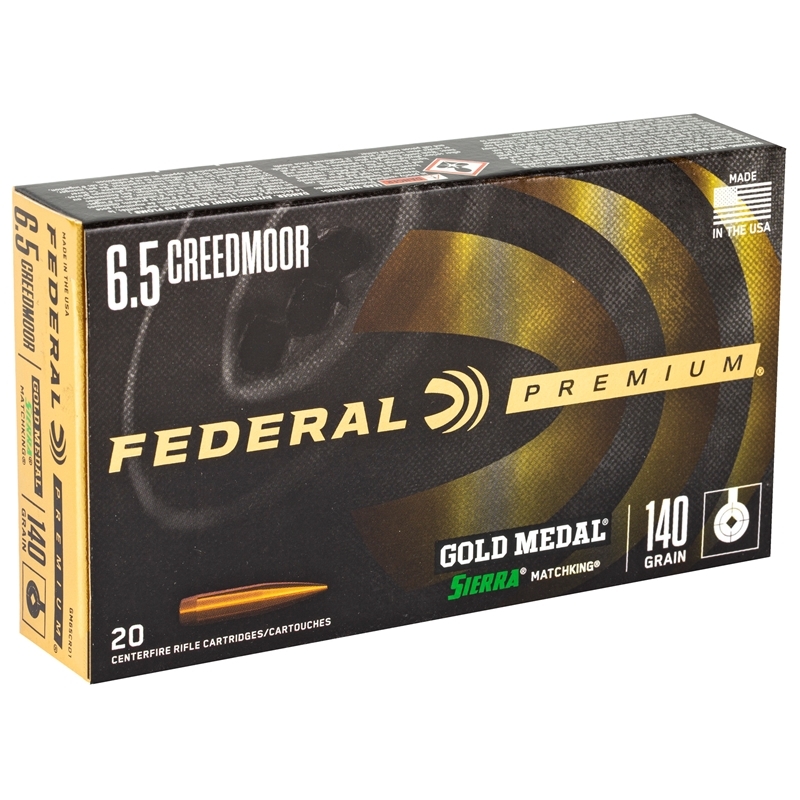 Federal Gold Medal 6.5 Creedmoor Ammo 140 Grain Sierra MatchKing Hollow Point ammo for sale online at cheap discount prices with free shipping available on bulk 6.5 Creedmoor ammunition only at our online store TargetSportsUSA.com. Target Sports USA carries the entire line of Federal Gold Medal Match ammunition for sale online with free shipping on bulk ammo including this Federal Gold Medal 6.5 Creedmoor Ammo 140 Grain Sierra MatchKing Hollow Point. Federal Gold Medal 6.5 Creedmoor Ammo 140 Grain Sierra MatchKing Hollow Point ammo review offers the following information; For nearly a century Federal Ammunition has put its focus on manufacturing quality products with cutting edge technology. This dedication to excellence has given Federal a competitive edge as an ammunition technology giant. Today the company is well known for producing high grade centerfire, rimfire, and shotshell ammunition that shooters everywhere know and trust. Federal Gold Medal 308 Winchester ammunition is new production ammo that features a 130 Grain Sierra MatchKing Hollow Point Boat Tail bullet, a non corrosive boxer primer and the 6.5 Creedmoor ammunition is brand new never fired virgin brass casing that can be reloaded up to seven times for those shooters that reload their 6.5 Creedmoor ammunition. Sierra MatchKing Boat-tail bullet with Federal's proprietary delivery system. Federal’s Gold Medal 308 Winchester ammo offers a muzzle speed of feet per second and a muzzle energy of foot pounds. Stringent manufacturing controls give you what many experts and international shooters consider the most accurate match 6.5 Creedmoor round available from a factory. World-class competitors, as well as military and law enforcement officials, choose Gold Medal match ammunition when it counts the most. 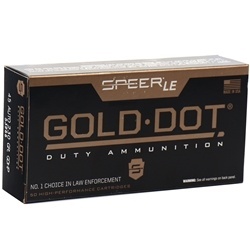 Packaged 20 Rounds per box and 200 rounds per case, 10 boxes of 20 rounds. Order a case of Federal Gold Medal Match 6.5 Creedmoor bulk ammo, receive free shipping from Target Sports USA. Federal Gold Medal Match 6.5 Creedmoor Ammo offers a muzzle velocity of feet per second and a muzzle velocity of foot lbs. Amazing Accuracy is what the Federal Gold Medal Match ammunition is all about. Not what my gun likes but not the ammo's fault. State of the art service ⭐️⭐️⭐️⭐️⭐️ Fast shipping and quality products. Easy to use website for ordering..
Federal Gold Medal 6.5 Creedmoor Ammo is great ammo great Groups . Federal Gold Medal 6.5 Creedmoor Ammo is the standard for factory ammo, my AI AT shoots this .5 MOA all day. I don't see a need to reload when using these. Cheap price and free shipping is a plus. If you shoot for accuracy ..... this is the benchmark. If you can justify the cost you will be thrilled with it's performance. I shoot competitions and normally hand build my ammo, but it's easier to start with factory "match" ammo to see what works in YOUR gun ......... this works in mine and when I run out of this ...... I will work hard to duplicate it. Buy it ........... their price is the best right now - especially with free shipping! !